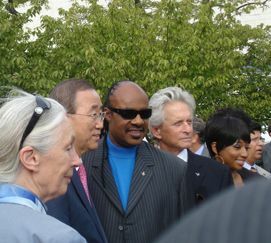 The Academy For Future Science asks for a moment of Silent Celebration on September 21st, 2011 for the International Day of Peace. “Blessed are the Peacemakers” Into Action! Start by sending through prayer and meditation that inner peace throughout the world so that we can all share that love of peace. 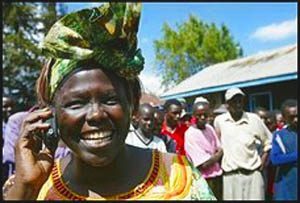 Let us target not just countries but individuals who are seeking a peaceful solution to their challenges taking place in their lives. As we participated in the International Day of Peace at the United Nations, all the participants shared the view that although there are many challenges before us, peace has to be first and foremost. 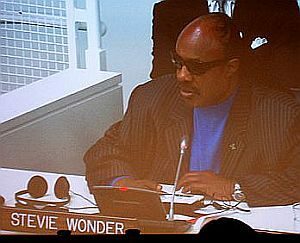 Whether it is peace through disarmament as put forth by the UN Peace Messenger and famous actor Michael Douglas, peace established by the care of mother earth and all her creatures as put forth through the UN Peace Messenger and famous chimpanzee spokesperson, Jane Goodall, or peace for all those with disabilities as represented through the UN Peace Messenger, the famous musician Stevie Wonder. You can hear a short clip of Steve’s message of peace here. Remember that Peace starts with you from your heart linked with the hearts of humanity and all living creatures on Earth!